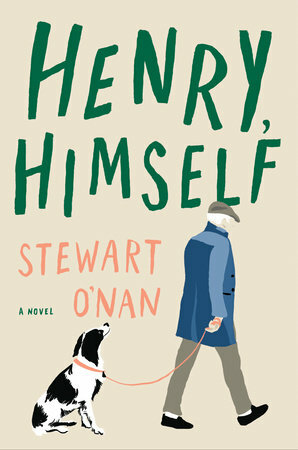 The following is from Stewart O'Nan's novel Henry, Himself. In 1998, Henry Maxwell, 75 and retired, looks back on the loves and losses of his past and comes to treasure the present anew. Stewart O’Nan is the author of numerous books, including West of Sunset, The Odds, Emily Alone, Songs for the Missing, Snow Angels, and A Prayer for the Dying. His novel Last Night at the Lobster, was a national bestseller and a finalist for the LA Times Book Prize. Every night before bed they watched the weather, yet when spring finally arrived it was a shock. One morning they woke to fog in the trees and robins on the lawn. By noon the snow was gone, the gutters glinting with runoff. The sunshine felt like a reward for surviving the winter. The crocuses beside the basement hatch poked through, and the daffodils around the birdbath. While Emily weeded in her coolie hat and kneepads, he scooped the thawed poop and bundled the fallen branches, picturing Ella and Sam hunting Easter eggs. It was too early to mulch, according to Emily, so he satisfied himself with taking down the feeders and vacuuming up the chaff, terrorizing Rufus with the hose. Though it was still cold enough that he had to wear a jacket, she opened the windows and aired out the house. The next day was supposed to be even nicer. While the Deep South was getting hit with tornadoes, the weatherman expected the system to stay in place till the weekend, with temperatures in the seventies. Friday they had a shot at breaking the record, set in 1889. The warmth seemed tenuous, a fluke, and still he couldn’t resist pulling the Olds out and washing off the salt. He liberated the grill, which was low on propane, giving him an excuse to run over to the Home Depot, where the garden center tempted him with its bales of peat moss and sacks of grass seed. In the parking lot they’d set up a makeshift corral of dogwoods and redbuds and prefab sheds. Driving home he caught part of the Pirate game from Bradenton, another promise of summer. Emily was defrosting steaks on the cutting board. The grill lit on the first try. He closed the lid and sipped his Iron City, letting the heat build till the gauge reached 500. The cooking didn’t take long. They both liked theirs bloody. They could have eaten outside if he’d brought up the porch furniture. Afterward, they took Rufus for a walk around the block, meeting a white standard poodle named Jean‐Luc, a pair of yappy Pekingese Rufus wanted nothing to do with, and several new people pushing strollers. The hedges were budding and the air smelled of mud. On Sheridan some kids were playing street hockey, their sticks clashing, making him think of Kenny and his friends, and his own friends from childhood, the games they’d played at dusk, the streetlights flickering on, nighthawks swooping through the dark. They called them nighthawks, but he wasn’t sure what they were. He’d never seen them since, and wondered if they were something he and his friends made up. There was no one who could tell him now. Even if there were, what would it matter? He’d seen them. He remembered them, even if he was wrong. Emily liked the fresh air, so they slept with the windows open. At four when he got up to pee, the room was freezing. Rufus had moved to the bathroom, sprawled on the heated tiles. Henry tried to go back to sleep but the birds had already started. A car crawled along, clanked over a manhole and then stopped, idling right outside their window. A car door opened, followed by footsteps and the whap of the paper hitting the front walk, and the Coles’, and the Marshes’, and the Buchanans’, and on down the street to Highland. Their carrier was Mary, a Nigerian woman with an unpronounceable last name who sent them a Christmas card each year with a return envelope meant for her tip. They’d never seen her, though once on his way back to bed he’d glimpsed her car, a boxy old station wagon that probably served as a jitney during the day. It seemed like overkill. He’d done his route on foot, and he was ten. He could picture each house, could walk the route block by block, his bag gradually growing lighter. He did now, recalling the doors and porches of their neighbors, chucking tomahawks, and then he was in Germany, by the canal where they’d found the drowned tank, except Duchess was there, still alive, and he knelt down and hugged her and told her she was good, she was sweet, yes, she was his sweetest bestest girl. He woke to the cold, bundled under the covers. It was a ritual, like the church rummage sale or the flower show. Without it, the season was incomplete. Putting out Rufus, he thought of Duchess. 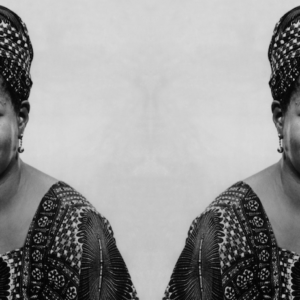 How many years had she been gone now? One more than they’d had Rufus, so four. Duchess, Duchess, the dog who’s just so Muchess. A snorer and a slobberer, she was his dog as sure as Rufus was Emily’s. He still missed her, though he thought of her less and less, which seemed wrong after such devotion. He parted the living room curtains to let in the day, unlocked the front door and picked the paper off the walk—not a tomahawk but folded inside a green plastic bag. He stripped off the wrapper and dropped it in the kitchen trash on his way to the breakfast nook when the headline stopped him: 5 dead in highland park shooting. There was a commercial, and then a story on a church in McKees Rocks that was supposed to have the best fish fry. Beneath the video ran a blood‐red crawl that said the police were still searching for two suspects. Later that morning the district attorney was going to visit the scene and make a statement. Not coincidentally, he was running for attorney general and the primary was coming up. A placard introduced breaking news. “Police are calling it an ambush,” began the young black reporter who usually covered broken water mains and cars that plowed into houses. He stood in a brick alley littered with yellow evidence markers, the one in the foreground numbered 33. The camera panned across a backyard where overturned lawn chairs ringed a cheap grill. “Those are our chairs,” Emily said, and they were. Everyone on their side of town shopped at the Home Depot. Like them, the family at 1431 Euclid Avenue was celebrating the good weather with a cookout, friends dropping by as the evening wore on. On Grafton, they used to do the same thing. Doug Pickering would light the tiki torches to let everyone know the bar was open, and they’d all bring their lawn chairs, making a circle that grew as new people showed up, the children racing around the yard, playing freeze tag. The idea of someone ambushing them was ridiculous. Nothing like that would ever happen on this side of Highland, but thirty years ago he would have said the same of Mellon Street. Euclid was the next street in. The only real surprise was the weapon, an AK‐47. “Who would do something like that?” Emily asked. Later that morning they were pruning back the raspberry canes by the driveway when a helicopter flew over, followed closely by a second. Instead of zooming off like the LifeFlight, they loitered, droning, their rotors beating the air, as if preparing to attack. They stayed through the noon news, shooting live footage Henry and Emily watched as they ate lunch. From above, the house and yard were unremarkable. It made Henry think of Gettysburg, the great battlefield now empty meadows. Instead of marble obelisks and Doric‐columned monuments, teddy bears and flowers mounded around a phone pole commemorated the dead. Three of them were sisters. The D.A. said a male family member still in a coma may have been the intended target, in retaliation for an earlier shooting. Community leaders were planning a march and a candlelight vigil for Friday night. There was a website where viewers could donate to a fund set up to help the victims’ families. Both choppers returned at five o’clock, as if there might be something new to see. Inside the cordon of police tape, their chairs lay capsized. The young grandmother who’d lost her three grown daughters made a plea for peace. “Whoever did this doesn’t have to answer to me. They have to answer to God.” The police were offering a ten‐thousand‐dollar reward for information. “You don’t think they know?” Emily asked. “I’m sure they can’t.” Though at heart he agreed, and he was just as curious as she was, it seemed wrong to speculate about the case as if it were one of her whodunits. Finally it didn’t matter who’d killed them. The mystery was how the neighborhood—how the world—had come to this. That night in bed, as she enjoyed the sleep of the innocent, he listened to the buzzing of the streetlight and the wind in the trees and the distant thrum of traffic, all the while expecting gunshots. Riding convoy during the war he’d learned how to catnap, snapping awake at the slightest noise. Once the line got moving, he dropped off, but tap the brakes and he alerted like a guard dog. On bivouac he stayed in his rack all day. Now he was lucky to string six hours together around trips to the head. Rufus kicked the dresser, running in his sleep. A train dieseled through East Liberty, its horn plaintive, sounding a warning, and he thought of the bridge outside of Freiburg, how afterward they’d laughed because it was so easy. The enemy were teenagers and old men, local farmers conscripted for this last stand, armed with their own hunting rifles. The .50 cal split them in half. He fed in belt after belt as Embree swept the barrel back and forth across the deck, kicking up chunks of tarmac. Later while they were helping graves detail police the bodies, Embree came across one that had been decapitated. “Aww,” he said like Elmer Fudd, pressing a finger to the dimple in his chin, “did I do dat?” and from relief or exhaustion or sheer gratitude at being alive, they laughed. On Euclid Avenue the killers hadn’t stuck around to see what they’d done. Henry thought it made all the difference. You appreciated what a job involved when you had to clean up after yourself. As promised, Friday was the nicest day of the week. Overnight the Coles’ dogwood had popped, and the Millers’ magnolia, the whole city in bloom, awash in pollen. By late afternoon the temperature topped eighty. Under the circumstances, it seemed wrong that they should break the record. The weatherman celebrated with a flurry of virtual confetti as if they’d won something. “Tomorrow we’re looking at rain showers, so enjoy it now.” There was nothing new on the investigation, only the same sound bites from the family and the D.A. The first funeral was scheduled for tomorrow afternoon. After dinner, near sunset, as he and Emily were walking Rufus, Henry imagined the three of them crossing Highland and continuing on to Euclid Avenue, joining the march in solidarity, but feared they wouldn’t be welcome. The next morning he thought of driving by. He had to run over to the Home Depot for more lawn and leaf bags, and while Euclid was the wrong way, it would only take him five minutes. He wasn’t sure what he expected to see that hadn’t already been on the news, just as he didn’t know why he was drawn to the murders, beyond proximity and the excitement of crime. The idea seemed ghoulish, indecent. What curiosity was he trying to satisfy? It might have been his neighborhood once, but he hadn’t set foot on that block in fifty years. The only business he had was on Mellon Street, and even there he knew no one and no one knew him. At Highland he turned left for East Liberty and the Home Depot. Instead of being proud of himself for resisting, he wondered why he was tempted in the first place, and suspected that if Euclid had been on the way, he would have gone ahead and driven down the alley. The rain came, and behind it the cold. That night they slept with the windows closed. Well into morning, he thought he heard a helicopter approaching. As it flew over, the Doppler caught up, and the whistling rotor became the roar of a jet, a harmless cargo plane headed for New York or Boston. The coverage was relentless, inescapable. The Sunday paper had a long feature on redlining and gun violence. In church, during the Prayers for the People, the deacon read off the names of the dead, and at coffee hour Judy Reese and Martha Burgwin said they’d heard from their cleaning lady, whose aunt knew the grandmother, that the ex‐boyfriend of the middle girl was a drug dealer. Henry abstained from the conversation, excusing himself to graze the cookie table. Later, when Kenny called, it was the first thing he and Emily talked about. As she parroted the rumor, Henry was surprised to find he was resentful, as if she were sharing their secrets. He was being cynical, joking, as he often did with him on the phone. He didn’t really believe what he was saying, he was just jazzing around, yet that was exactly what happened. After getting kicked out of a bar, a man re‐ turned with a gun and killed three people, including the owner, a fixture in Homewood known for coaching their Pop Warner team. Decades of his players turned out for the march. There were plans to name a field after him. Meanwhile, the funerals for the Euclid Avenue victims straggled on, mingling with those in Homewood, the news lumping them together as if the shootings were related. When they’d first heard, Henry had meant to make a donation to the fund set up to help the families. Now he waffled, wary of his motives, afraid they might be sentimental or patronizing. They already gave at church and to the United Way, whose programs served those neighborhoods. Several times he thought of discussing the matter with Emily, or donating anonymously through the computer without her knowing, but as the days passed and the dead were laid to rest, the need seemed less pressing, and in the end he did nothing. From Henry, Himself by Stewart O’Nan, to be published by Viking, an imprint of Penguin Publishing Group, a division of Penguin Random House, LLC. Copyright © 2019 by Stewart O’Nan.